As I shared with you a few weeks ago, I recently bought a new-to-me car. Everything went just dandy with the transaction, exceeeeept at the end. I conveniently left it out of the original post since it was still unresolved, but I’m here to share the gory (okay, exaggeration) details now. 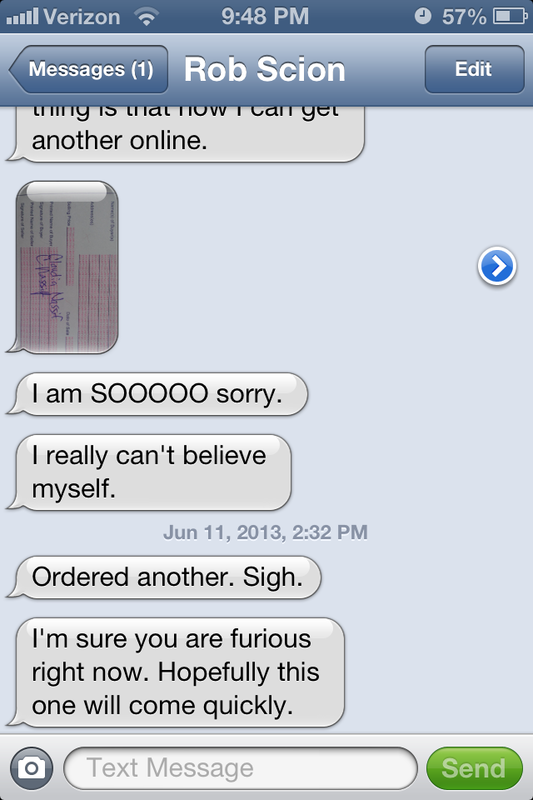 I shrugged the comment off and got in that glorious car and drove it straight to the DMV with all the papers in my hand. [Enter 2 hour wait… ughhh] As soon as they saw the title, it all went downhill. 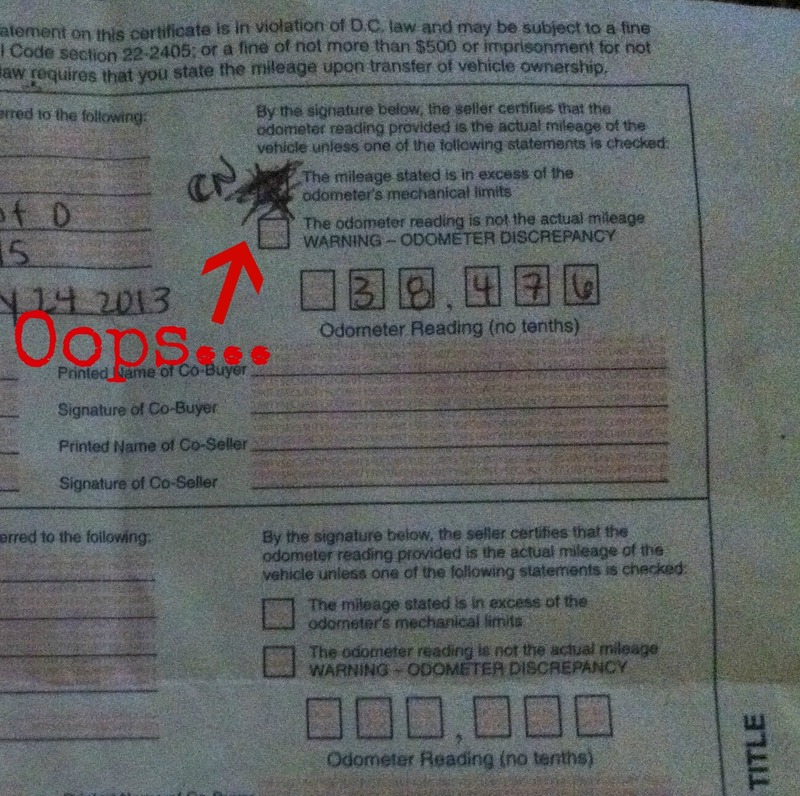 That little oops-we-accidentally-filled-in-this-box was a deal breaker, in DMV land. I had to come back with a clean title in order to register the car. SERIOUSLY?! Back to the waiting game. Again, he requests a new title (this time online, so that saved a bit of time) and it comes within about 5 days. We meet up again and I finally get that title in my hands. And breathe a huge sigh of relief. The last few steps were a (relative) breeze: I had to get the car inspected, because it didn’t have a valid inspection. And yes, you must do this before you take it to the DMV to register it if there is no valid inspection! Then I went back over to do some more DMV-waiting. Soon enough I was up at the counter, sweating bullets, nervous that they’d find something else wrong. 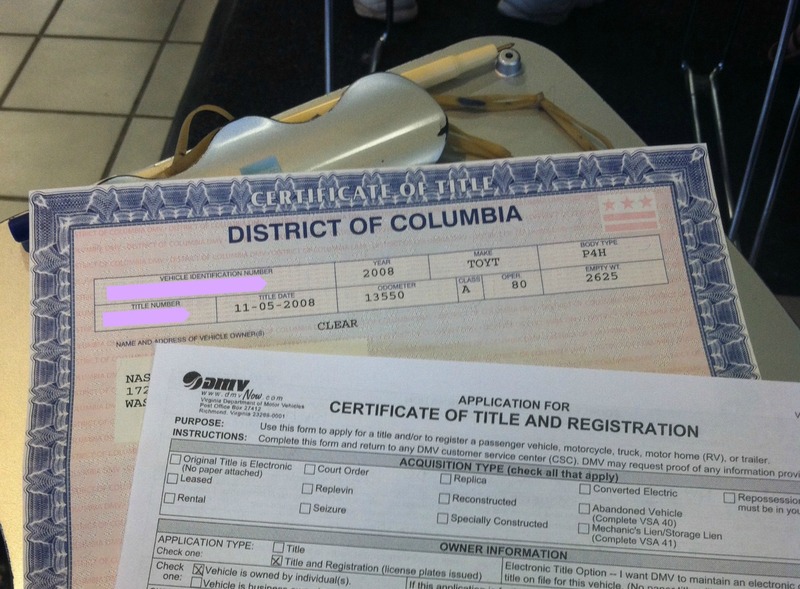 But luckily, nothing was wrong thsi time and I left with a registration and shiny new plates. Success! If I can pass along anything to you from this story… ANYTHING… it is that you inspect the title before you hand over the check. If there is even one teeny tiny little problem wrong with that fancy piece of paper, ask the seller to request a new one. Or ask them to accompany you to the DMV where you can find out if they will accept the title! Tell the seller that you’ll hand over the check as soon as you know that the registration is good. It was the worst feeling in the world to think that the seller had all my money, and I had an unregistered car with no valid title. So many bad things could have happened– I’m luckily that the situation ended as happily as it did! Any other advice for used car buyers? Have you run into a tricky problem like this? Share your story! !